What you wanted to see back in '99. This fanedit is much more streamlined than the original movie, and is not bogged down by superfluous plot points, asinine humor, or amateurish acting. The edit is also more evenly paced, without being too action-driven. This fanedit aims to remove the unnecessary elements of TPM and to create a version that is much more in line with the original trilogy. By removing most of Jar Jar's appearances, much of Anakin's dialogue, and entire scenes and plotlines, the film now feels much more like a Star Wars movie. I've always felt that behind the idiotic humor and tedious pacing, there was a decent movie to be found, and this edit endeavors to be that movie. Thanks to Ripplin for taking the time to review and critique my edit. This won't be a complete list, as that would be far too long. But hopefully you'll get a general idea of what's been excised. Cut all battle droid dialogue. Cut lines like "Are you braindead?" Trimmed certain scenes on Naboo. Cut entire underwater city sequence. In this version, the trio are assumed to have traveled to Theed on foot. Cut all of Jar Jar's so-called "humor." Cut the majority of Anakin's dialogue. Cut most of Anakin and Padme's scenes together. Cut any reference to Midi-chlorians. The references to the prophecy are still intact. Cut announcer at the podrace. Cut Anakin speaking in Huttese. Reworked certain parts of the podrace. Reworked Anakin taking the spaceship. In this edit, he deliberately flies it to the blockade. Cut various parts of the Gungan battle. Reworked Darth Maul's death so he doesn't go out like a punk. Cut entire ending celebration. This version ends ominously on Palpatine's face. Having seen this edit and other before, I was very impressed. Certainly one to take a look at even if you think you've seen more than enough versions of TPM. I've seen several versions of TPM, and this is one of the best. Right up there with L8's and Q2's! At first I thought, "Oh no, not another Phantom Menace edit!" After seeing it, I think this is now my preferred version of the film. It's still not a great movie, but it's the best cut I've ever seen by far. Narrative: The editor has literally chopped almost everything I hate about this movie. No midochlorians, no C-3PO or R2-D2, no Anakin/Padme interactions, most of the bad dialogue is removed, characters are vastly improved, no gungans, and Jar Jar has almost no speaking lines. 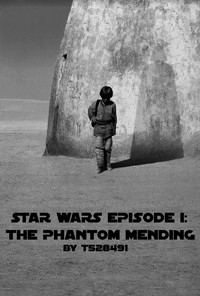 My biggest criticism of The Phantom Mending is the pod race. The continuity, geography, and sequence of events is messed up and extremely confusing to watch. The chosen one prophecy is still included, but at the very least there is no virgin birth. I think that some of the deleted scenes, like Anakin's fistfight with Greedo and Qui-Gon encountering Maul's probe droid, could have been inserted, could have strengthed the plot, but it still works fine without them. My only other complaint is that Padme's whininess on Tatooine is intact, and I have yet to see an edit that actually removes this. 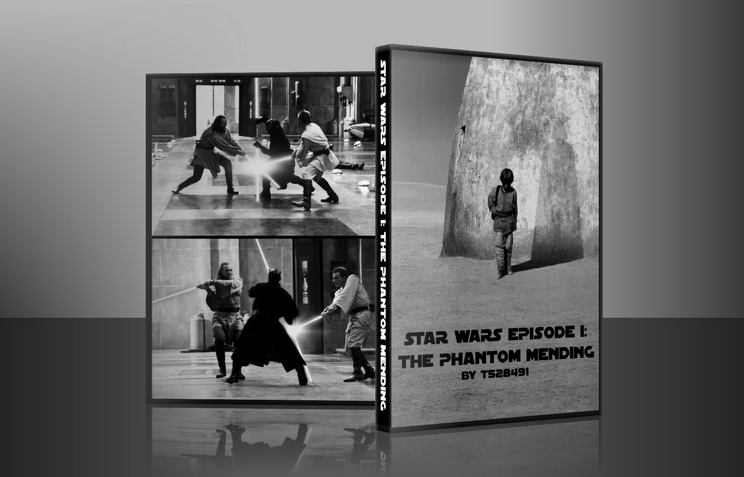 Other than that, this edit is very bold and often strays, for the better, from the usual Phantom Menace edit standard. Enjoyment: I highly enjoyed this, and like other Star Wars edits in HD the picture quality looks absolutely spectacular. The narrative changes are awesome and I look forward to seeing t528491's upcoming Star Wars edits. HIGHLY RECOMMENDED!